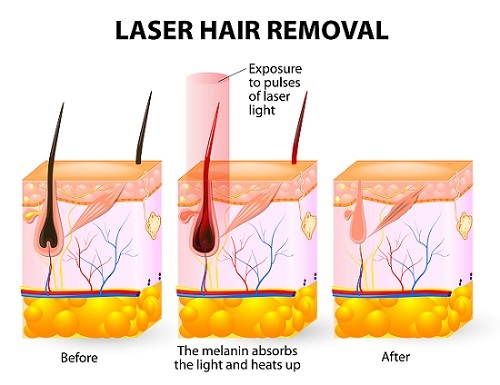 At Imani Skin Clinic we offer the latest technology in laser Mpl Hair removal. You can book in for a free consultation and patch test to see if you are suitable for laser hair removal. Click the link below for more information on laser hair removal. ROSACEA: Do You Really Need It? This Will Help You Decide! Erythematotelangiectatic rosacea presents with flushing that progresses to permanent erythema and telangiectasia over the affected areas. Affected skin may also itch and patients describe a burning sensation. In phymatous rosacea, the skin thickens and may become nodular and irregular. The nose is the most commonly affected area, resulting in a permanent enlargement called rhinophyma. Other areas, such as the chin, forehead, cheeks and eyelids, may also be affected. With ocular rosacea, the eyes, as well as the skin, can be affected, with red, inflamed, dry eyelids – this may be confused with blepharitis. A course of 4-6 treatments at 4-week intervals produces the best benefit. Improvement may continue for many weeks after the course has finished. Rosacea is a relapsing condition and this treatment can drastically improve the appearance but does not cure the underlying condition of rosacea longer term, so you will need to come back occasionally for maintenance sessions. Prices start from £35 per session depending on the size of the area. Check our the link about for 12 things you should know about before getting Laser Hair Removal!